When melt pump extrusion and single screw or twin screw extruder are put into use with series connection, gear pump advantages of whole extrusion line will be improved significantly. 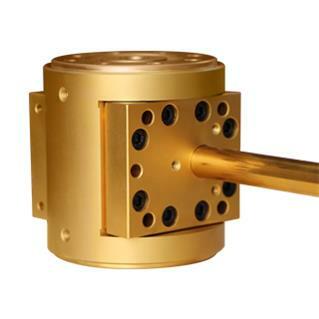 Gear pump is a device placed between the extruder and the die, and takes over the function of pumping through the die. 1. 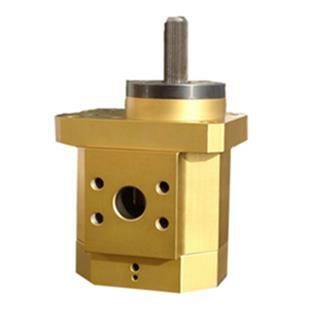 Melt gear pumps even out irregularities in linear (mass) flow, such as those caused by irregular feed (varying scrap content) and second-zone surging. This may improve thickness control enough to allow a lower aim thickness, thus saving material, and is the basic economic justification for using this device. 2. 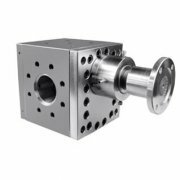 It takes some of the load off the extruder, allowing it to run at lower pressures and therefore less frictional heat generation. This may be translated into higher output rate if temperature is the limiting factor. 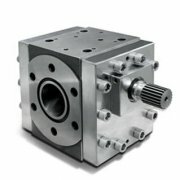 ◆What is a booster metering pump extrusion?